The modern world it is hard to imagine without electricity. Lighting, working appliances, computers, televisions – all this has become a familiar attributes of human life. But some appliances are powered by AC, while the others from DC. Electric current is a directed flow of electrons from one pole of the current source to the other. If this direction is constant and not changing in time, talking about DC. One conclusion of the current source is positive, the second negative. It is considered that current flows from plus to minus. A classic example of the constant current source is a common AA battery. Such batteries are widely used as power source of small electronic equipment – e.g., remote controls, cameras, radios, etc., etc. Alternating current, in turn, is characterized in that periodically changes its direction. For example, Russia has adopted a standard according to which the voltage is 220 V and frequency is 50 Hz. The second parameter characterizes the rate at which changes the direction of the electric current. If the current frequency is 50 Hz, it changes its direction 50 times per second. Does this mean that in a conventional electrical outlet having two contacts, periodically changing plus-minus? That is, first on one contact plus, the other minus, then Vice versa, etc. etc.? In fact, things are a little different. The electrical outlet in the electric system are two pins: phase and ground. Usually they are called "phase" and "ground". Ground output safe voltage no. At the same phase the output with a frequency of 50 Hz per second change plus and minus. If you touch "ground", nothing will happen. Same phase wire is better not to touch, as it always is under the voltage of 220 V.
Some devices are powered by DC, the other AC. Why is this separation needed? In fact, most electronic devices use a constant voltage, even if included in the AC network. In this case, AC is converted to DC in the rectifier, in the simplest case consisting of a diode, cut one half wave, and a condenser for smoothing ripples. Alternating current is used because it is very convenient to transmit long distances, the losses in this case are minimized. In addition, it is easy to transformation – that is, the voltage change. DC to transform impossible. 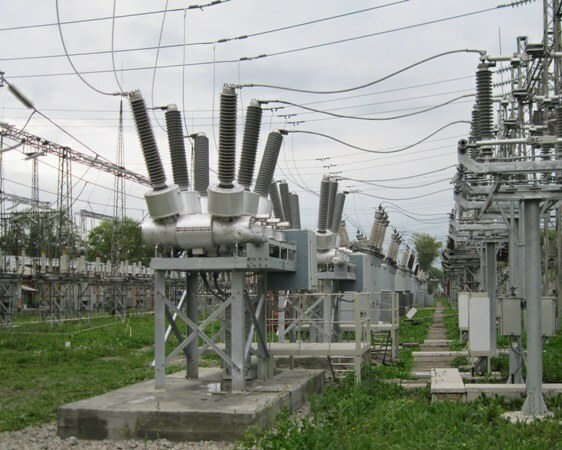 The higher the voltage, the lower losses in transmission AC, so in the main lines voltage reaches several tens and even hundreds of thousands of volts. For submission to settlements high voltage is reduced at substations, resulting in the house does already relatively low voltage of 220 V.
Different countries have different voltage standards. Thus, in European countries it is 220 V, US is 110 V. another Interesting fact that the famous inventor Thomas Edison failed at the time to estimate all advantages of AC and defended the need for the use in electric networks it DC. Only later he was forced to admit that he was wrong.